Traditionally, the New Year is a time to take stock of our lives, to let go of what no longer serves, and to reconnect more fully with what inspires us. In service of this, SIM’s annual seven-day retreat will provide an opportunity to deepen an experiential understanding of insight meditation, exploring a variety of different practices taken from the Four Foundations of Mindfulness as well as the four brahma-vihara heart practices, of kindness, compassion, joy, and equanimity. Together, we will strengthen both the wisdom and compassion wings of awakening, through a mix of guided and silent sitting meditation, walking meditation, group discussion and individual meetings with the teacher. ​​There will be a 1.5 hour period of relational meditation on the first two and last two days, while the middle three days will be in full silence. There will also be a period of optional, gentle mindful movement each day. The teacher: Jill Shepherd is a graduate of the IMS / Spirit Rock teacher training program in the US under the guidance of Joseph Goldstein and Gil Fronsdal. She divides her time between the US, Australia and New Zealand, teaching vipassana and brahma vihara retreats and offering ongoing study and practice groups focused on bringing the dharma into daily life. For more info, see: http://jill0shepherd-insightmeditation.com or go to our teachers page. 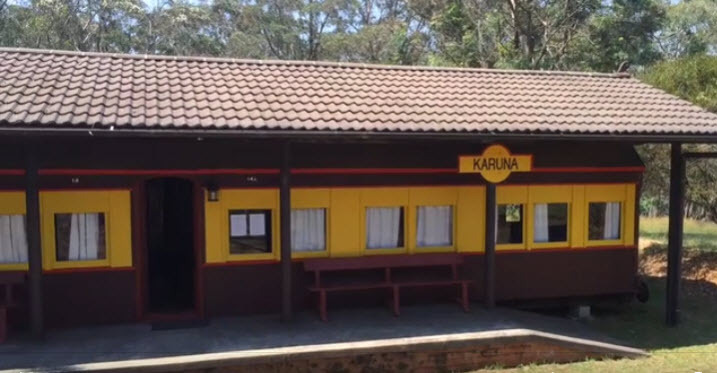 Venue: ﻿Karuna,﻿ near Katoomba in the Blue Mountains, has sleeping accommodation is of various standards. Some shared rooms are small and basic. You may also choose to bring your own tent. A small number of single rooms will be offered on a preferential basis according to receipt of full payment (note availability is not guaranteed). There is a short video walk through the train carriage cabins below. Concession - $725 + dana. For full time students, pensioners and unemployed. If you need assistance and do not qualify for the concession you may wish to apply for a scholarship (see below). Additional cost: 'Dana' (act of generosity to support the teachers and the teaching). 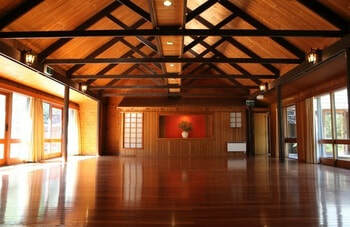 The retreat fee covers accommodation and meals only. In keeping with a 2,500 year old tradition no fee has been charged for the teachings. You are invited to give a donation to support the teachers to continue their work. Step 1: Complete your ﻿registration form﻿﻿﻿. Download and send your completed form to ﻿Sylvie. Note: If you will be requesting a scholarship, do not complete this registration process until your application is considered (see below). Scholarships for all SIM retreats are available for people who need assistance paying the full fee and do not qualify for the concession. Click here for more information.